Attemtped seat poach on ATL-PBI last week. Was in 19 D and the person who was in 19 F was right in front of me when we boarded. 19E was an older lady (mid 60's would be my guess) and was sitting in 19F. She asked the person in 19F if he preferred the middle seat. He just chuckled and said no. 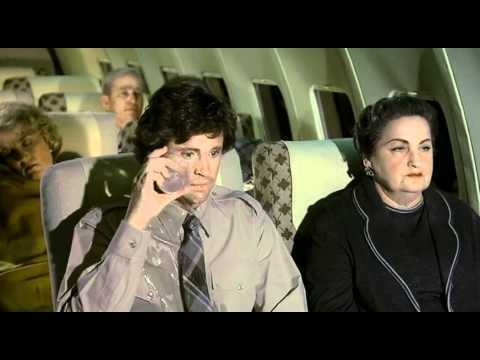 She moved and then as I set my laptop bag on the seat for 19D she asked if I preferred the middle seat. She got a second small chuckle and a no. She's been reading Rejection Proof. You should have negotiated with her. 19E was an older lady (mid 60's would be my guess) and was sitting in 19F. She asked the person in 19F if he preferred the middle seat. He just laughed and said no. She moved and then as I set my laptop bag on the seat for 19D she asked if I preferred the middle seat. She got a second laugh and a no. "19E was an older lady ... and was sitting in 19F." Yep, I think D and F guys might have been more willing if she had sat in her assigned E seat and then asked them if they wanted to switch once they got there. Having already situated herself in the F seat, it kind of sets a bad perception from the start that she presumed others would accommodate her request of switching seats. It does not feel great to be stuck in a middle seat, but I have yet to meet anyone who genuinely prefers it over a window or aisle seat. It does not feel great to be stuck in a middle seat, but I have yet to meet anyone who genuinely prefers it over a window or aisle seat. They do exist; once or twice I've been in the aisle seat and someone else was in the middle with the window seat empty. Once the door was shut I figured the person would move over to the window, but no. Maybe when we get up to cruising altitude? No. So there we were. Probably didn't want to miss any of my incomparable wit and charm. I would probably be tempted to say something like, "it's nice that we can spread out now" when the fasten seat belt sign is turned off. Some people are rule followers and assume that they must stay in their assigned seat. I had that happen once, too. The passenger clinging to her middle seat was a young (twenties) woman. She sang and sang and sang at the top of her lungs the entire flight. My noise canceling headphones and the plane noises blocked me from hearing her, but I could see her joyfully singing the entire flight. Clapping, smiling, bobbing her head... No reading, sleeping or playing on a device, just joyful singing. I'm sure it was very joyful for those around her w/o noise cancelling headphones! Reminds me of my daughter (9) she loves to sing, and I have to reminder her to not sing in the grocery store, mall, restaurant, etc. That leads to her singing slightly quieter, a second reminder leads to humming loudly. I guess some people just have a song in their heart! Does "joyful singing" have religious connotations here? I'm not sure, but she may have been singing religious songs. I couldn't tell and really was trying to just ignore it. She also refused to put her purse under the seat in front of her. The FAs finally gave up and let her keep it on her lap. The purse may have actually been empty. It was the kind of thing you thought could get much worse so you just let it go where it was. You know, the sleeping dogs theory. Could've been a combo of one of those people who are really afraid to fly type of thing and (no offense here) some happy religious thoughts/whatever to keep their mind occupied.